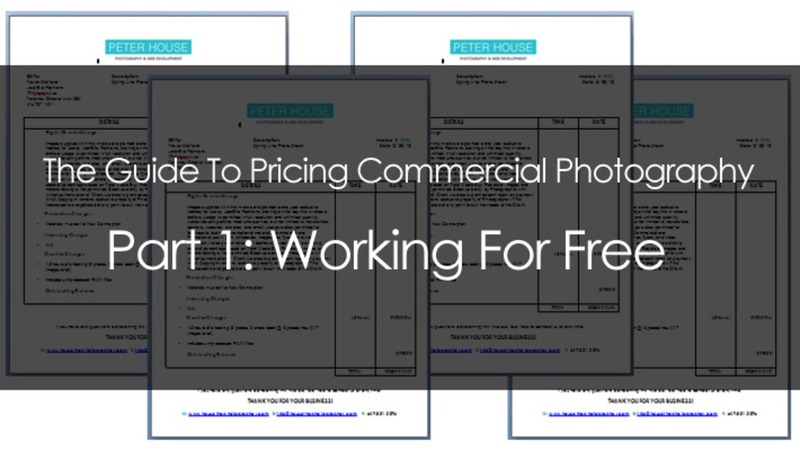 Over the coming weeks I will be releasing a series of articles that will guide you step by step through the process of pricing your photography for commercial work. I will show you how to structure an invoice as well as go in depth to discuss the different parts of the invoice itself. I will show you how and why you should be using license agreements on all your work. I will even explain how you should calculate your own rates in the commercial marketplace. Before we get to all that however, I think it is crucial to start at the very bottom and talk about TFP (Trade For Print), or in today’s world, TFE as I like to call it (Trade For Experience/Exposure). You see, I like free things. Wi-Fi hotspots, online storage, jogging, junk mail.....wait.....scratch the last one. So several years ago when I decided to take my photography full time I successfully became a freelance photographer. Free to pursue my passions. Free to be my own boss. Free to direct my own life. Free to be artistic. That was a lot of free things, and I liked that. You know what I didn’t like? As job offers began pouring in quite a few of them had one thing in common. They seemed to focus on the “free” in freelance. We have all been offered these promises of grand exposure and unparalleled opportunities for experience. We are told that if we do this one “special” gig it will lead to many more just like it, except somehow, next time they will all be paid. What is it that drives a business to try and hire freelancers in this way? In order to correctly price yourself it’s crucial to understand why TFE will be one of your biggest challenges in the marketplace. Let’s explore some of the reasons why TFE is so popular, and whether or not you should partake in the practice. If you want to become a doctor, an archaeologist, a mechanic, a plumber, or even an astrophysicist, there are clear cut paths of higher education you must complete. These paths come in the form of obtaining degrees or putting in a set amount of hours through apprenticeship to gain accreditation. Upon completion of these programs you are certified to practice what you have studied and there is real world value in your skills because you’ve actually gone into debt to obtain them. You can’t wake up tomorrow and declare yourself a brain surgeon. I mean you can, and I’m sure it would work well at a bar, but in the workplace you would be labeled a fraud. If you woke up tomorrow and declared yourself a photographer however, it may not work as well in a bar, but as far as the workplace is concerned you are a 100% certified photographer. This lack of certification in our industry is interesting because in order to build up value in an education based workforce you need to incur some debt. The more debt you incur through tuition, generally, the higher paying job you will end up receiving. In a sense photographers are very fortunate that there is such a massive volume of information on the internet about our work. A quick trip to YouTube or any photography blog will provide you with more hours of education then any classroom can provide, and most of it is completely free. This free education however also leads to a devaluation of the profession because of the readily available information which anyone can pick up and use without certification. Don’t get me wrong, I’m not against free education. I think it is marvellous. What is less marvellous is that these newly educated online photographers (I myself was one), need to build value somehow by incurring debt. Your education is worthless if everyone else has it, so what sets you apart? Work experience of course! In order to build up a portfolio that will hopefully entice more clients photographers are willing to work for free, in a sense, this is our tuition. This is how we build up value by incurring debt. An engineer will pay $50,000 in tuition, and we will do $50,000 worth of free work. What happens when we do this is also quite interesting. As photographers we end up creating a workforce filled with employers who are used to getting things done for free. These employers are seeing a constant supply of fresh talent willing to go into debt just to obtain a little value. 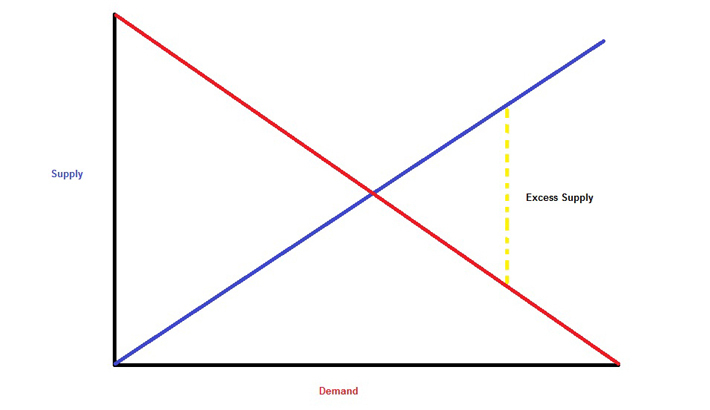 This is the real supply and demand problem our industry faces. A barrier to entry is nothing more than an obstacle that prevents you from doing something. What prevents me from being a professional basketball player? About a foot of height and a seriously pathetic jump. 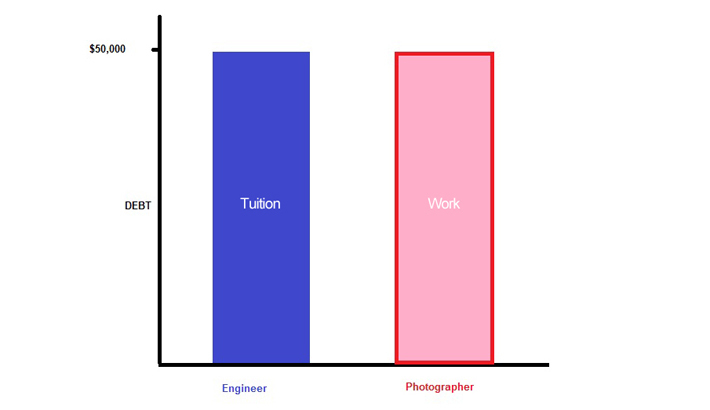 Becoming a professional photographer has gotten to be very simple over the last decade. Professional grade equipment is cheaper then ever. In addition our equipment is so automated that even Apple is claiming anyone can be a photographer with their latest version of a cell phone. A cell phone! The lack of certification, as discussed earlier, coupled with the plentiful and cheap access to equipment has turned your average photographer from a hobbyist to a potential pro. “Anyone can do it” is the mentality and “good enough” is the flavour of the month. Photographers will know and understand that a real photographer will ALWAYS need a vision and a sense of style, but these are ambiguous things which the general marketplace does not understand. What the marketplace sees is an influx in available photographers. The barriers to entry are very low and supply has gone up, so demand must come down. How can a photographer compete, much less, make any money? Now that we know the causes of why TFE is so popular, what do we do about it? Do we accept that this is the way things work? Or do we boycott and stage massive protests? Frankly, working for experience isn’t bad. Really. As I’ve mentioned earlier, you need to build up value. You can only do this through experience. This is the nature of the workforce. The normal way you are supposed to go about this is to get an education, then climb your individual corporate ladder until you reach a nice comfortable senior position, and then you retire. This is all very gradual and happens because you slowly accumulate experience. We need to replicate this same system for photographers who are simply "thrust" into the workplace and expected to produce results. So if TFE is necessary, why are so many people against it? The problem is not so much working for free. The problem is WHO you are giving free work to. Businesses who offer you opportunities to work for free are not raising your value but rather their own. They are taking your efforts and monetizing them for their own profit, meanwhile, selling it to you as a form of education. I strongly believe that artists should collaborate on free projects. Photographers, models, MUA’s, stylists, we should all offer each other free services as time permits. Sure we could charge each other a few measly dollars here or there, and bicker about who should be the one to pay, but if these new artists can’t create work with each other, they will turn to the businesses trying to take advantage of them. By collaborating together, artists can create strong portfolios based on commercial concepts, without being taken advantage of. This is the real way to build value by going into debt. You are offering your free time and effort to other artists in exchange for each other’s experience. That is your tuition and education. Your hard work will not be going to a corporation that can generate profit from your efforts. Veteran photographer’s should be taking on more roles as mentors and educators. Offer young and aspiring photographer’s internships and apprenticeship opportunities that will give them a hands on approach to learning. You can provide them a safe alternative to practice all the real world concepts they will need to be successful in their own ventures. This goes beyond the technical side of things and should incorporate the business practices we use every day that actually keep the business afloat. What I hope you get out of this article is that working for experience isn’t bad. It will not devalue the industry. It is a necessary form of building our own individual value. Nothing happens overnight, and we can't expect to be working with Fortune 500 companies as soon as we open shop, but the path to getting there isn't paved by giving away free commercial work. That is the only sure fire way to devalue YOURSELF. If we just dedicate the same amount of time into collaboration as our peers put into their degrees, we might find ourselves in a better position to find paying clients. Stay tuned for the next article where I will begin to explore how you can figure what to charge your commercial clients, and how to present it to them. Feel free to visit me anytime at Peter House – Commercial Photographer to follow our work. Great advice. Trade for Experience for businesses means that they get a product promotion for free and the photographer gets nothing. Trading for experience with a higher skilled photographer as a mentor provides value to the one working for free. If you apply this to test to all of the posts on Craigslist's Creative Gigs, about 90% of the "opportunities" would fail. Shooting free headshots for random wannabe actors off Model Mayhem will NOT help you or your peers. Shooting free product shots of some T-shirt a random wanker from craigslist has designed will not further your career. I listened to a podcast a while back with chase jarvis and zack arias. Their consensus was that only work for free, if it will further your career. So yeah I agree about the t-shirt stuff, but I think commercial projects could still help progress your career if it's related to what you want to do. Excellent article. Looking forward to the next one. Looking forward to the next one... this was great. Right now I only shoot TFE, mostly because I love my day job and I'm just not ready to own a business. I also do some work for non-profits as a way to give to my community. It gives me the experience I need and the opportunity to do what I love for fun. There is so much negativity surrounding this issue. Thanks for the encouragement! Peter, You're absolutely right. I've created single images for no client in particular for free and gotten jobs from being able to show them to potential clients and I've also filmed for 2 1/2 weeks to create a documentary (my first) for free - well the client paid my expenses, but not my time (editing took a year) - in Afghanistan in early 2012. It's gone on to win awards (Best of ASMP 2013), I'm holding a TED talk in December, we had an amazing live premiere, footage from it has been sold to National Geographic, the BBC and we're talking with PBS right now, it's gotten me great exposure, … on a job that was done (you got it) for free. Thanks for sharing, I look forward to the next installment. Take a look at the documentary and see if you feel it was worth spending the time on making it for free. I disagree. Somewhat. When beginners enter the marketplace they should charge something. It must be in scale with their experience though. Also in some states a contract is not binding unless some money exchanges hands. Also beginners like to roll in and price themselves at a similar rate as others with 20 years experience but just slightly lower. The unknowing client chooses the one with the best(lowest) price. They get the gig and screw it up. they under bid the job and cant deliver. Then I get a call wanting me to come fix it by reshooting everything and I hear over and over "We just dont have much left in our budget after hiring the last guy. Can you cut us a break and we will promise to use you in the future?" My response is No. Why should I discount my labor because you went with the lowest bidder? How is that fair to me?" Why have I been successful? I priced myself OVER everyone else, considerably. Less jobs yes, but more ROI and I have a client base that knows I am the highest but I offer first class customer service and a quality product. By being so far out of the norm price wise I offer an all inclusive type agreement with service that cant be touched. It adds a lot more work per client but equals same year end income with more days off. I just removed myself from the "Texas Cage Match" of price wars between photogs and hashed out my own market level. If you see me and I am holding a camera I'm being paid. One exception is that I do several charity events free of charge. The charity must be a registered 501 non-profit and I must get a receipt for a Gift In-Kind for tax write off. Good points in general. A couple of things, however. 2. Photographers do incur costs: equipment, software, etc. is completely free." Very true. But there's cost in this as well, despite it being free up front. It's called "time." Someone is spending those hours educating herself vs doing a job which will pay them. In business this is called "opportunity cost." The worst part about it is there is no graduation point... It's not like being pilot training where you log a certain number of hours and then you're an official pilot and you get paid like a pilot should. Whether you have been a photographer for 5 days or 5 years, you still get to hear the same BS about how it will be "great" for your portfolio or it "could" lead to paying work. But the 5 years photographer will be better at spotting the BS. because he has heard those same two phrases everyday for the last 5 years. Disagree with the pilot comment. I'm a pilot and I didn't just get "paid like a pilot should" it took many many years of flying hours before I even had the hours to apply for an airline job. Your second paragraph rings true in all industries unfortunately. To the best of my knowledge, creative professionals are the only industry that constantly is asked to work for free or way below their experience level. Thanks great article and advise. I was waiting for such an article! I actually am been trying to get a team of artists together to do those projects and add them to our portfolios instead of doing TFE. And in fact, all my portfolio is work that I didn't get paid for, it was just me calling interesting people I know and telling them about this photo shoot and send them sketches that I've already done, and no one really said no once they are motivated! 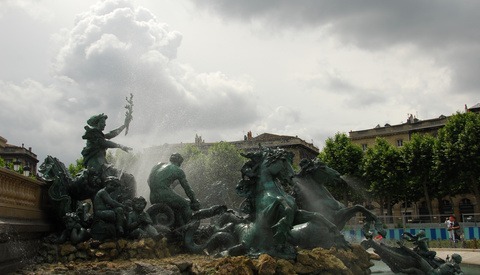 Plus, honestly I did try to study in the beginning and do photography at the same time, but I wasn't able to afford it because of how expensive it is in here especially as an expat! However, I'm really looking forward to your next article, this could really be so helpful personally to take it to the next step, and thank you for that!! Nice article. There is no one size fits all as many photographers believe. While one photographer may be a schmuck for giving his talents away for free, another might be brilliant for getting access to situations that he can learn from. 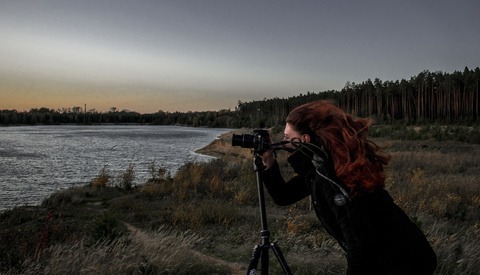 Photography is not like other professions where you NEED a special license so if someone can do the job for free and is ok with it, either choose a different profession or do it better. Doctors don't get angry at other doctors who do surgery for free do they? You know that "non profits" used to pay for photography right? Just like they pay rent, heat, lights, printing, catering, staff salaries etc. etc. they used to pay decent rates for good photography for annual reports, community engagement pieces, fundraising campaigns etc. We all agree to that doing good things for a good cause is right but, so many GWC's have taken away what used to be paying work that the value of photography has plummeted to a level that makes it almost impossible as a viable career. 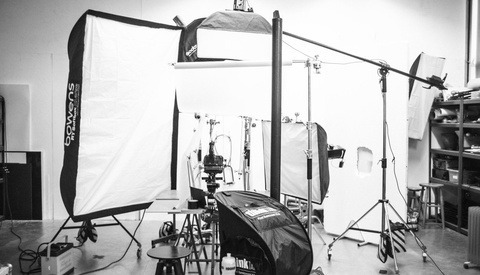 If you're like most part timers, you'd be overjoyed to do a day of photography for a corporate annual report for $500. A possibility that will come along soon enough when you run into a corporate sponsor of one of those non profits. They'll say "wow, you have a nice camera" and then mention their need for images at work and next thing you know, you're shooting an annual report that I used to get paid $4500 a day to shoot. I'm sure that putting me out of business is not your intent but, clients do this so often now that most dont even know what really great professional photography is and "good enough" rules the day. I broke in by simply walking over to the office of a well known publication in my local area after being laid off from my former job. I had a website that displayed my work and left my card. About two hours later I had my first paid freelance job for the magazine. Two months later...one of my images made the front cover!! Build a good portfolio and network....It'll pay off!!! But how do we get STARTED? how do we find that first client willing to pay us our worth? Peter - You bring up a good topic yet there are avenues of accreditation that you are missing. While one can always become discovered or eke out a existence by learning online and through seminars another path is available. Universities and even two year schools do offer class instruction that goes well beyond shutter speed and f/stop. There are degrees in both photojournalism as well as fine art at both the associate, bachelors and masters degree level. While they can be expensive, they do open doors of opportunity and help guide the student to evolve a sense of style and vision rather than imitating another style. In short they are taught the visual language to properly evolve a series and resolve it in a professional manner.